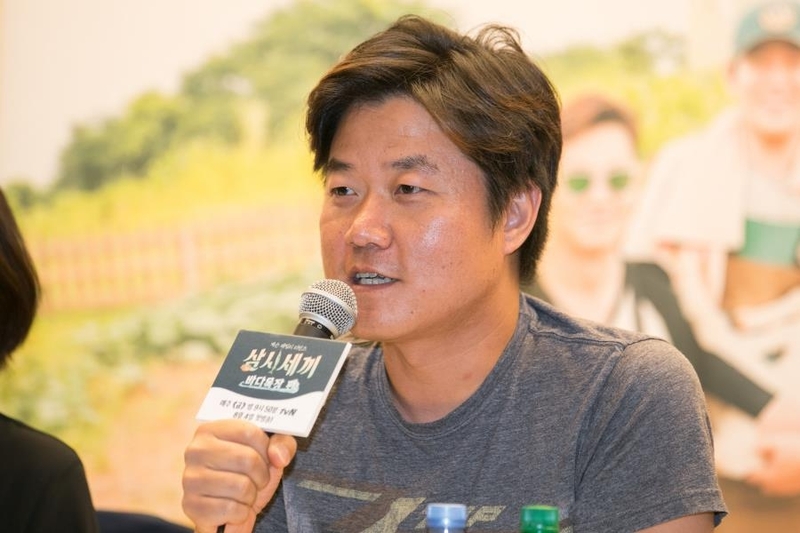 SEOUL, Aug. 2 (Yonhap) -- Star producer Na Yeong-seok and his popular reality TV series "Three Meals A Day" is returning to put celebrities' impromptu culinary chops to the test again, according to showrunners Wednesday. 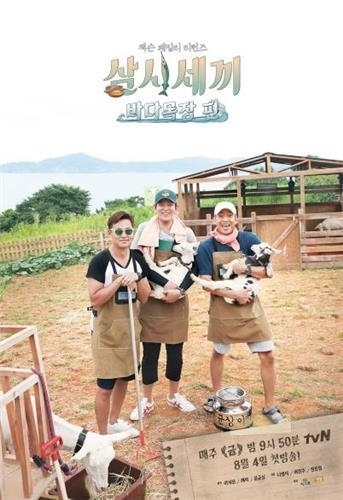 "Three Meals A Day: Sea Ranch," the show's seventh season, will drop actor Lee Seo-jin together with Eric Mun of Shinwha and actor Yoo Kyun-sang, members of the previous season, at the country's southeastern Deukryang Island. In the series, which first started in 2014, celebrities placed in rural farmland or fishing villages are tasked with cooking food by sourcing ingredients and using the rudimentary tools put at their disposal. Participants often have to grow their own vegetables or fish for sustenance. Since it first aired in 2014, the tvN show has often picked up over 10 percent viewership ratings, a remarkable feat for a cable TV network. This season's kicker is the amalgamation of sea and land environments: showrunners have created a ranch on the show on an island and brought back Jackson, a mountain goat that first appeared in the original season, along with three generations of her family. The show focuses on the cast taking care of Jackson and her family to produce goat milk. "We've talked about returning to this island since it was so beautiful. We came, and the show probably should have been about fishing, but upon learning that the cast lacks talent in fishing, we swiveled to livestock," Na said at a press conference at the Stanford Hotel in western Seoul. "Jackson and family gladly decided to appear on the show," chuckled Na. While past seasons, especially the ones with actors Cha Seung-won and Yoo Hae-jin, focused heavily on stars toiling through hard work, such as fishing or cooking for hours under grueling weather, showrunners said they are taking a more laid-back approach this time. As is tradition, the show will have special appearances by other celebrities. Actress Han Ji-min will be the inaugural guest this season. "These people (the regular cast) love receiving guests. They savor the arrival of someone new and also hanging out with them," said Na, adding that the show this time will be more oriented towards showing good friends coming along and hanging around enjoying the summer. While the show so far has held its ground in terms of ratings, observers have voiced concerns over viewer fatigue. Na said he and his colleagues are listening to various opinions, including the more negative ones, regarding the show. "We are producing the series constantly wondering whether viewers would feel bored by the continuous seasons. But we also believe the aspect of the show that people like shouldn't change, such as the show's signature tone and the simplicity," explained Na.